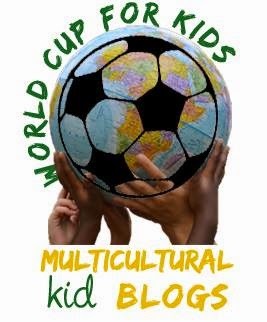 For the Multicultural Kid Blogger’s World Cup series, I am presenting Mexico!!! These hands-on activities would be perfect for a Mexico unit, to expose your kids to authentic cultural information and the geography of Mexico. If you’d like a short activity (reading and comprehension questions) to teach your kids about Mexico–check out our Mexico Minibook at Teachers Pay Teachers! This packet is great for home or school use. Map of Mexico in North America, Mexico flag, Introduction to Geography, The Capital: Mexico City, Ancient Civilizations, Languages, Popular Celebrations, Food that is originally from Mexico, and Popular Sports. To see students making the minibook and then reading it, check out this video. For those living in the United States, Mexico is our friendly neighbor to the south. Known for its beautiful, white sand beaches, Mexico also has impressive mountains, deserts, and jungles. Aztec and Mayan ruins draw tourists from around the world, as does the modern capital city of Mexico DF, home to countless museums, world class restaurants, and elegant shopping. Popular Holidays: New Years (Jan 1), Día de Reyes (Jan 6), Holy Week (varies), El Día del Niño (Apr 30), Día de la Madre (May 10), Independence Day (Sep 16), Día de Muertos (Nov 2), Noche Buena (Christmas Eve, Dec 24). Physical Geography: Bordered by the US in the north, Guatemala and Belize in the south; Coastline with the Gulf of Mexico in the east with a stretch of the Caribbean west of the Yucatán and the Pacific Ocean in the west and south. The 2 mountain ranges that run the length of the country are the Sierra Madre Oriental (eastern) and Sierra Madre Occidental (western). Every time Mexico plays I will post a new activity to learn more about the rich, Mexican culture that we love:). We will be cheering for them, hoping that they make it to the finals!!! If you love the World Cup and want to use it to teach your kids about the world, be sure to follow our World Cup For Kids Pinterest Board so you can follow all of the posts as different countries play. I will be sharing many of the activities on our facebook page too. Also, there is a great World Cup For Kids Printables pack to use with your kids.